Is there any television series that is more quintessentially 1960s than The Avengers? Okay, there’s The Prisoner, but it was never quite as much fun as the adventures of John Steed and the many talented amateurs he was partnered with. 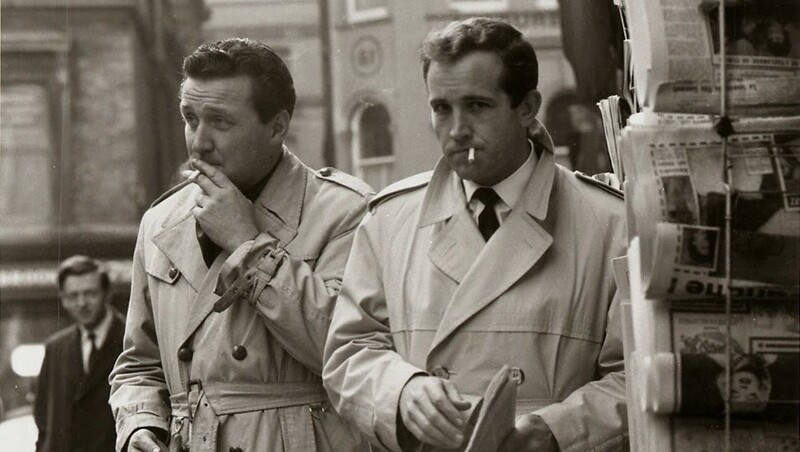 Created by Doctor Who mastermind Sydney Newman (who refused to take credit), The Avengers started life back in 1961 as a vehicle for Ian Hendry, star of the short lived Police Surgeon. Looking to avenge the murder of his fiancée (hence the title), Hendry’s character, Dr. David Keel, teamed up with mysterious government agent John Steed (Patrick Macnee). If you grew up on the Emma Peel years, like I did, going back and looking at the show’s early days can be something of a shock. Back then The Avengers was a far more tough and gritty affair than the flamboyant spy series we all know and love. Keel was the main character with Steed as his rough and tumble, trench coat wearing sidekick, a far cry from the quintessential Englishman of legend. Hendry bailed after one season to pursue a film career that never materialised. Macnee was promoted to star status and saddled with a rotating selection of sidekicks. It was only when he was partnered up with Honor Blackman’s alluring Cathy Gale that the series really started to come alive. Gale was a revolutionary female character at the time: smart, confident, independent, quick-witted, and more than capable of defending herself. British television audiences had never seen a woman like Cathy Gale before and were eager for more of her. By now Steed had ditched the trench coat, picked up his suits from Savile Row and popped on his bowler. Steed and Cathy sizzled on screen together even if their relationship never went far beyond some first-class flirting. 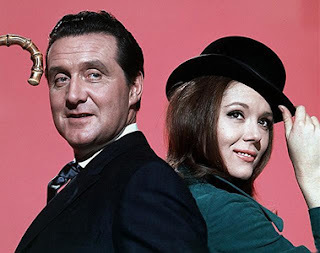 When Blackman chose to leave the series after season 3 to star in Goldfinger (something the show delightfully made fun of), a new partner was needed for Macnee’s gentleman spy. Enter Diana Rigg as legendary Emma Peel. Cool, stylish, smarter than everyone else on the show, and handy with a karate chop, Mrs. Peel was the perfect sparring partner for Steed. The arrival of ice-cool Ms Peel was when The Avengers really started to become unashamedly bonkers, the ultimate in ‘60s spy-fi entertainment. 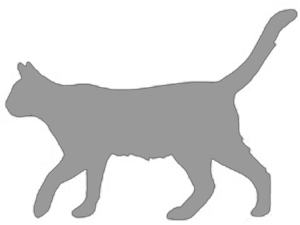 It now existed in an impossible England of sleepy little villages that held sinister secrets. As well as tackling the odd foreign spy and gangsters, the indomitable pairing of Steed and Peel now battled Cyber-Naughts, the Hellfire Club, killer plants from outer space, villainous department store workers, model train enthusiasts, and diabolical masterminds of all shapes and sizes. The entire production also started to look more sleek and polished. 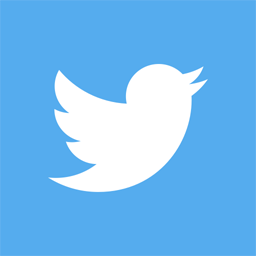 The title sequence revamped and featured Laurie Johnson's iconic theme for the first time. ABC began airing the series in America (one of the first British shows to do so) which lead to a massive budget increase. The first three seasons were all shot on multi-camera video, but with the extra cash allowed the production team to start shooting on single camera 35mm film instead. 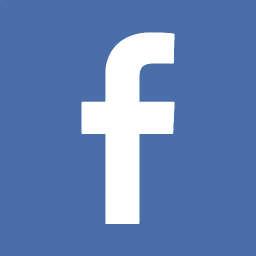 Not only did this allow for more creative camera work, it also enabled the crew to get out of the studio and shoot on location for the first time. By season 5 the series moved into the wonderful world of primary colours and The Avengers became less a TV series and more a walking, talking work of '60s pop art. 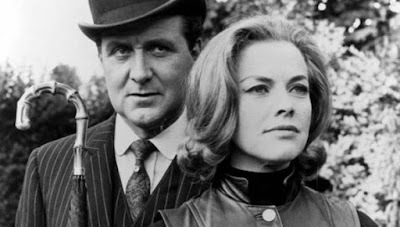 The Steed and Peel years were The Avengers' best, producing many of the shows most beloved episodes, but they were not to last. Rigg had a difficult relationship with the producers after discovering during the making of season four that, despite being co-lead, she was being paid less than the cameraman. She demanded a pay raise equal to what Macnee was earning or she'd walk. The producers gave in, but Rigg's relationship with them never really healed and she eventually chose to leave the series, and its arduous shooting schedule, for good after finishing work on season five. Mrs. Peel was written out in the first episode of season six where, after bidding an emotional farewell to Steed, she left to be reunited with her husband, Peter, who turned up alive after being presumed dead all these years. With Rigg gone, Linda Thorson (who was dating the producer at the time) was brought in as Tara King, Steed's new partner and a novice spy just out of training. 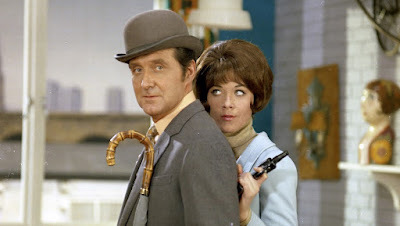 Steed was also given a boss for the first time in the form of Mother (Patrick Newell), who he would often meet in increasingly absurd locations to receive his assignments. At one point Mother's office was located on the top floor of a double-decker bus. In later episodes Mother was often accompanied by his mute assistant, Rhonda (Rhonda Parker). Production of the sixth season was plagued by numerous problems behind the scenes. Producers came and went while whole episodes were either scrapped or completely reshot. Thorson was asked to bleach her hair so Tara could be a blonde, but the process so badly damaged her hair that she had to wear wigs for her early episodes. If that wasn't bad enough, the quality of the scripts also began to seriously deteriorate during this season. This dip in quality, coupled with mixed reactions from fans to Tara King, ultimately proved to be the series undoing. Ratings were down, especially in America, where it was now aired opposite Rowan and Martin's Laugh-In, the number one show in the country at the time. 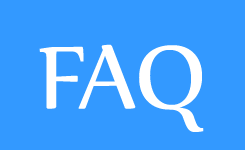 Eventually ABC dropped the show and, unable to produce it without international backing, ITV cancelled it altogether in 1969 after just one season with Steed and King. The Avengers was briefly revived in the 1970s as the less outlandish, far gritter The New Avengers, before being remade as film in 1998 starring Ralph Fiennes, Uma Thurman, and Sean Connery, but the less said about that horror show the better. I freakin' love this show! I like '60s spy shows, like The Man from UNCLE, Mission Impossible, The Wild Wild West, and I was told that I would like The Avengers. 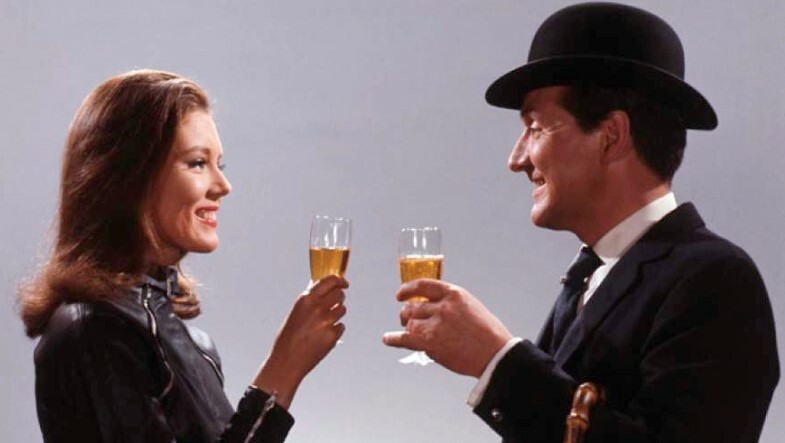 Unfortunately, the first episode I ever caught was where Steed and Mrs. Peel switch bodies with the villains, and I was wondering what was going on. After watching more episodes and knowing the characters (and having the complete Mrs. Peel collection on DVD), I love that episode. And the Bond series and The Avengers series has an insane amount of crossovers that you need a flow chart for. Honor Blackman, of course. Diana Rigg was Tracy in On Her Majesty's Secret Service. Patrick MacNee is Bond's ally in A View to a Kill. And, if you want to go with the monstrosity that is the movie version, you have Ralph Fiennes now as M and, of course, Sean Connery. What a fun read, Mark. I had only ever seen the episodes with Mrs. Peel and Tara King. I never saw the series from start to finish, just a rerun here and there.